Coming to Canada Soon ? ? ? ? Welcome to Crazytown . . . . The organized lynching of truth-telling by way of FoxNoise, of course. 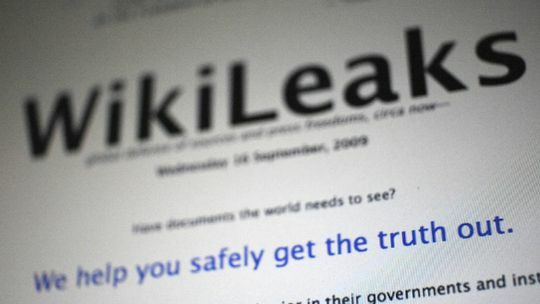 A Fox News contributor and former state department adviser has accused WikiLeaks of conducting "political warfare against the US" and called for those behind the whistleblowing website to be declared "enemy combatants" so they can be subjected to "non-judicial actions". Whiton ends with the following plea: "How much will our information-collection capabilities have to be diminished, and how many of our friends and collaborators around the world must die, (Ed: Never mind that there has been no evidence of that.) before President Obama and his friends on Capitol Hill start caring more about national security?" Oh sure, call Julian Assange and his tribe of transparency troops "enemy combatants" so they can get the same kind of "deal" Omar Khadr got. Compare the FoxNoise response with that of Britain's deputy prime minister, Nick Clegg, who backs an investigation into the torture allegations. 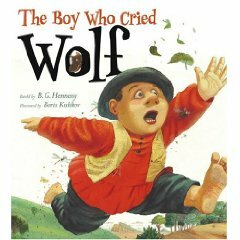 An ocean away and worlds apart . . . .
Be Careful 'Bout Cryin' Wolf . . . .
With today's release of 400,000+ Department of Defense documents on the Iraq war by WikiLeaks, once again the MSM is playing the Pentagon's mouthpiece quite well. Reuters: (Lead paragraph.) The Pentagon said on Friday it does not expect big surprises from an imminent release of up to 500,000 Iraq war files by WikiLeaks, but warned that U.S. troops and Iraqis could be endangered by the file dump. CBC: (Hillary Clinton) "We should condemn in the most clear terms the disclosure of any classified information by individuals and organizations which puts the lives of United States and partner service members and civilians at risk," she said in Washington, D.C.
CNN: "This is all classified secret information never designed to be exposed to the public," Morrell told CNN. "Our greatest fear is that it puts our troops in even greater danger than they inherently are on these battlefields. " Didn't we hear the same dire warnings back when Wikileaks released the 70,000+ documents on the Afghan war? How'd that come out, you may ask? CNN: Friday, Lapan said they know of no case where anyone in Afghanistan had been harmed because their name was in the leaked documents, but he made clear that doesn't mean such people couldn't be killed in the future. FoxNoise: Lapan said that so far no Afghans have been killed as a direct result of WikiLeaks releasing the same type of information over the summer, but he characterized the leak as deplorable. The Pentagon and State Department crowd might start stocking up on wolf spray and protective gear. Perhaps one day their dire warnings will go unheeded and ignored. We'll probably have to clue the MSM in, though. It appears they're still drinking the Kool-aid and asking for refills . . . . Happy Birthday, John . . . .
Is There a Chiropractor in the House ? ? ? ? It appears the current government's spending priorities need a fiscal adjustment . . . .
Bake at 350 Degrees 'til Explosion Occurs . . . .
Michael Moore gives the definitive review of Bob Woodward's new obama administration novel. In fact, after you read Woodward's book, you'll split a gut every time you hear a politician or a government teacher talk about "civilian control over the military." The only people really making the decisions about America's wars are across the river from Washington in the Pentagon. They wear uniforms. They have lots of weapons they bought from the corporations they will work for when they retire. It matters not whom we elect. The Pentagon and the military contractors call the shots. The title "Commander in Chief" is ceremonial, like "Employee of the Month" at your local Burger King. So here's your assignment for tonight: Watch Eisenhower's famous farewell speech. And then start thinking about how we can tame this beast. The Soviet Union had its own military-industrial complex, which is one reason they got into Afghanistan...which is one reason there's no more Soviet Union. It happened to them. Don't think it can happen to us? Here in Canada we've got stevie and petey ginning up the military apparatus to improve Canada's status on the world stage. Let's follow the US' lead, that oughta work out just fine. Take your basic army, navy and air force on hand for defence of your nation. Add in the fact that the corporate-owned media is on the side of spinning conflicts globally to increase ratings. Stir in profits to the bottom line of the media giants plus military contractors and your recipe for disaster is ready to go in the oven. Follow directions in this post title . . . .